At Long Range Systems, we realise how essential it is for organisations in various industries to have an efficient means of communication – whether between waiters and guests in a restaurant, or nurses and patients in a hospital or care facility. Having a robust and seamless method of communication is especially imperative in high-risk environments, where emergencies could occur quite often and need to be dealt with in as timely and effectively a manner as possible. We offer a wide range of emergency call systems suitable for environments frequently encountering emergency situations. Our entire selection of pagers has been designed and manufactured with convenience and longevity in mind, so you can rest assured that our products will provide you with an incredibly efficient and dependable means of communication – whatever your industry. As part of our continued efforts to offer first-rate customer service, LRS provides a comprehensive 3 year guarantee on all products we retail. We even offer a convenient 14-day trial, should you wish to test out our products yourself to be assured of their suitability before committing to a purchase. With high-quality products, competitive prices and a customer-focused service, LRS should be your first port of call for efficient emergency paging systems. A perfect solution for health and safety or first aid using high technology call points. 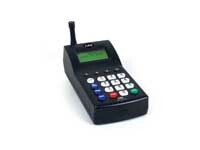 These PFS transmitters can be programmed to page individuals, groups or everyone. The Butler XP is one of our most robust health and safety and first aid help points. It can repeat page and send out a 'call answered' when repeat is cancelled. Completely waterproof transmitter for inside buildings or outdoors. Staff are just a button press away from assistance or service. The unit is battery or mains driven. Talk with emergency staff or get messages out the T7470 Freedom transmitter. This unit can send out a page to a pager or an SMS text message to mobile phone. 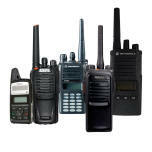 Get emergency radios for most applications with accessories to match. Free advice from experts. Motorola, Opus, Kenwood, iCOM and Vertex among others. Also digital systems. 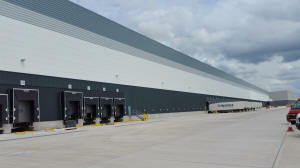 Using cabling on-site for communications with customers and staff makes sense. The PC Paging System can page every pager we make and sends SMS text or emails to emergency teams if necessary. Try our free customer advice service to help you find the perfect solutions.